Facebook Messenger is getting a big feature today. 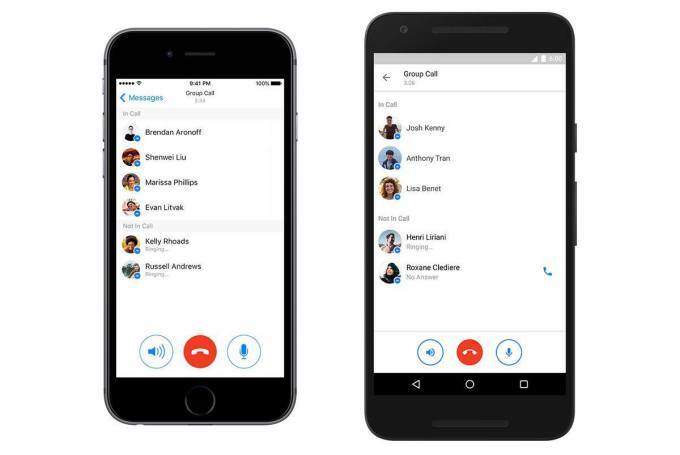 The update, which is being rolled out globally today, will bring group calling to the instant messaging app. The service will be available for free on Android and iOS apps. The procedure to start a group voice call is pretty simple. You just need to open the group chat and click on the call button. The app will ask you to select the group members you would like to call, and once that’s done, all selected people will get the call notification simultaneously. If someone couldn’t receive the initial call, but the call is still in progress, the person can join in later by tapping the phone icon in the group chat. The caller can see the active participants of the call and ping anyone who has not joined or got disconnected. There’s a limit of 50 active participants in one group call, which is more than enough. Group calling isn’t a common feature amongst Messenger’s competitors and there are only a few popular services which offer this feature. Group video calling, however, is still not here yet. It is expected to be released eventually and Facebook executives have confirmed it as well. Messenger aims to completely replace the regular phone number one day and be used as the go to method of communication. Strangers can talk on Facebook since last year as well. However, Messenger does hold an added functionality. While blocking regular phone numbers is difficult or costs money, blocking some stranger on Facebook is simple and free. Harassing someone is very difficult on Facebook if you know the options available to you. There is still some way to go before Messenger’s group calling can overtake Skype as the professional method for long-distance video communication. Video calling and auto-mute for group conversations would definitely put it up there with Skype. The rise of the platform is definitely unquestionable as Facebook has over 1.5 billion users and Messenger has 900 million users. These numbers are Messenger’s greatest strength over its competitors as well.